A signature scent is a fickle thing. We want it to keep as fresh as possible for as long as possible, so we can get as much use out of it as we can! Here are some of our top tips to make sure that you can get the most out of every last drop of perfume in the bottle. 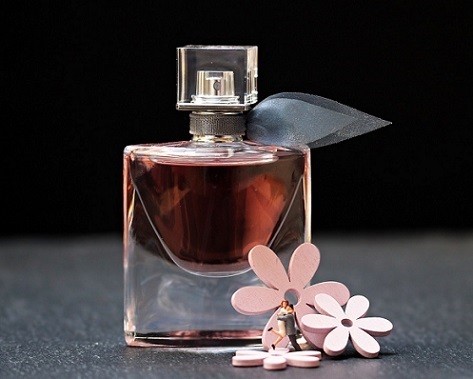 Did you know that the place where you store your perfume could have an impact upon its shelf life? We may be tempted to store all our skincare and beauty items together in our bathrooms but this is one of the worst places to put them. Bathroom atmospheres tend to be hot and humid; neither of which is a good thing for a perfume. Instead, keep it out of direct sunlight in your bedroom. If you have a special perfume which you only want to use for the most exclusive of events, pop it in a ziplock bag and then stick it in the fridge! The cool air in the fridge is the perfect ambient temperature for your perfume while the bag prevents the odours of the fridge from disrupting the perfume’s scent; and vice versa! To make the deal even better, be sure to find it at a great discount fragrance store online to save you some extra money! When it comes to actually wearing the perfume, one of the first things you should do is learn how to properly prep your skin for wearing it. The first thing you should do is moisturise when you have showered. This will help to prep your skin as it will create a smoother surface for the molecules of the perfume to bond with. If you want an extra bit of staying power, put a little Vaseline on the areas where you really want the perfume to stay. Everyone knows they should wear scent on their pulse points but how many of us truly know where those are? Many women spray perfume on their wrists but you should never then rub your wrists together as it will “bruise” the scent and cause it to lose some of its potency. Stick to a spritz each side and you will be fine. You should also spray behind each ear and in the crooks of your arms. These are some of the key places where you can keep your scent lasting all day. One of the key things you can learn to do when it comes to your perfume is to learn how to layer it. By layering it with a scented shower gel and lotions, you could potentially use less perfume and still stay smelling great throughout the day. Pick a scented shower gel or lotion which compliments your chosen fragrance and does not overpower it. As each layer dissipates throughout the day, you will smell fresh no matter what you are doing! Try out some of these amazing hacks today!